Just in case you hadn't noticed a trend, I'm kind of obsessed with skin care lately. I don't know if it's the fact that I've entered the "dirty thirties" or because I now have 3 daughters, which has emphasized to me that I must set a good example for them on what it means to be a lady. I want them to know that though God (and awesome genetics) made them beautiful to the eyes, true beauty comes from within. I want them to know how to look and feel pretty inside and out, from the youth on, and that it's okay to age gracefully. So that means they have to see me not just cover my skin with pretty makeup, but take good care of what's underneath. Thus began my tireless hunt for the perfect skincare routine/regimen. In that quest to find the good, the bad, and the so so in the vast world of skin care, I've had the pleasure of discovering some true gems. While I love it when I can find a single item within a brand or line that performs well, I really like it when a company comes out with a complete system (cleanser, toner, and moisturizer at least) that works for me. Who knew that I would be blown away by the woman that specializes in natural hair care and fragrance? 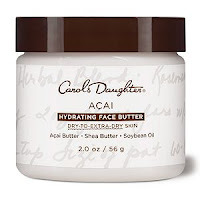 Carol's Daughter recently introduced it's Acai Skincare Collection: with two sets of regimens formulated to "naturally restore beautiful skin with the antioxidant power of Acai Berry Extract" to "minimize the effects of pollution, sun damage, and free radicals." If your skin could talk, it would probably beg for a daily face regimen that’s packed with nature’s best ingredients. It’s time to face the naked truth: natural ingredients are all your skin should wear. 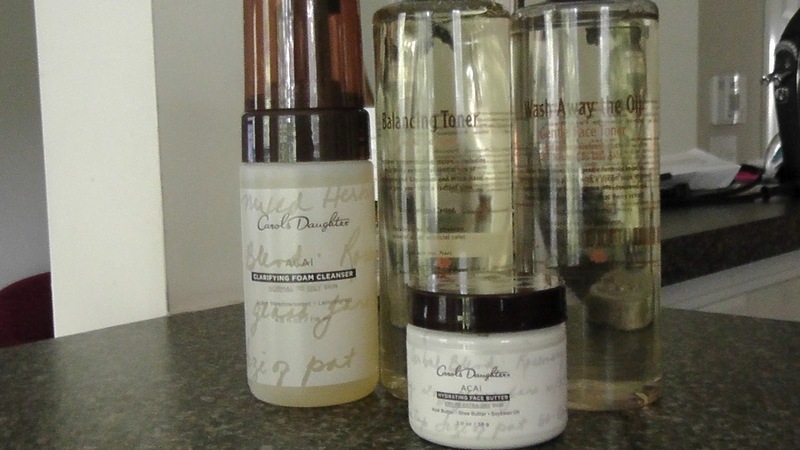 Founder Lisa Price handpicked coveted natural essentials for high, gentle performance. How does it work? Trusted naturals like vitamins A & E, aloe, witch hazel and more, packed with the powerful protection of Açai—the super anti-aging antioxidant—ensure that you get your healthiest skin possible. Our new skincare collection has two regimens—one for normal-to-dry skin, one for normal-to-oily skin—to protect and nourish all skin types. Açai Hydrating Foam Cleanser ($20): This multitasking foam cleanser rejuvenates dry, unbalanced skin while gently removing makeup residue. 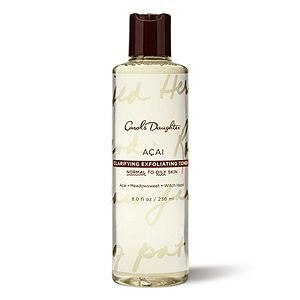 Açai Hydrating Exfoliating Toner ($19): Achieve a perfectly balanced complexion with this innovative formula that tones and exfoliates while replenishing moisture and reducing the signs of aging. 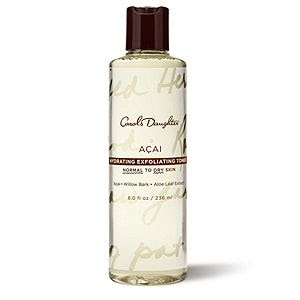 Açai Hydrating Face Lotion ($25): Revive skin’s natural glow with this sheer, fast-absorbing lotion that lightly nourishes to improve elasticity while helping skin retain vibrance. Açai Hydrating Face Butter ($14): Whipped with rich, nutritious ingredients such as shea butter and soybean oil, this butter relieves and prevents dryness by deeply repairing, healing and protecting skin. Açai Clarifying Foam Cleanser ($20): Indulge in this silky foam that cleanses, purifies pores and manages oil production. Açai Clarifying Exfoliating Toner ($19): This double-duty formula gently exfoliates as it balances oil production with witch hazel. Açai Clarifying Face Lotion ($25): This sheer lotion moisturizes with a barely there feel while controlling oil production and minimizing the signs of aging. AÇAI bERRY EXTRACT: Its anti-aging power helps to minimize the visible signs of aging while protecting against the very environmental aggressors that contribute to them. 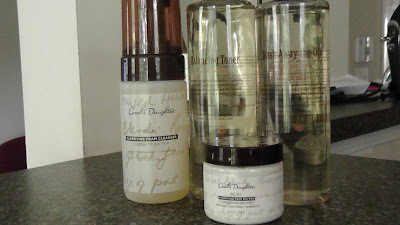 I had the pleasure of testing out the Clarifying Cleanser, Toner and the Hydrating Face Butter. The smell of all of the products (even the toner) is absolutely intoxicating! I use the cleanser in the morning, the toner at night, and the face butter at night (but only after exfoliating or a day spent out in the elements when my skin needs a little extra TLC). My skin has been positively glowing! It's smoother and has a more even texture. I absolutely love this line! I think it was the onset of my 30's that marked the transition for me too. I came to the realization that the same products/routines that I had been using through my late teens and 20's were not going to cut it any more. I don't think I'll ever be finish with collecting makeup, but I'm totally enjoying broadening out my scope to include skincare as well! I've never tried Carol's Daughter, but I've been curious about it! So glad you found something to help you set that good example for your girls! You should definitely give Carol's Daughter a try! There are so many products to choose from, for everybody (I think some people think that it's just for women of color). My girls are SO prissy already, I don't think I have much to worry about (other than showing them how to be balanced and not go overboard being obsessed with their looks and etc.). I just want them to know that they are BEAUTIFUL just the way they are! This sounds great. Might have to pick it up. I'm wrecked all the time now I've had a baby!